Major Syria Developments Soon? 5 out of 5 based on 6 ratings. 6 user reviews. A number of events have happened recently which point to the possibility that something might be brewing in the Syrian conflict. Second, just two weeks after another “leak” which claimed that 51 US diplomats wanted Obama to authorize airstrikes against government forces in Syria, the WaPo “leaked” the news that the USA was offering the Russians a new “military partnership” in Syria only to vehemently denounce this plan a couple of days later. “Moon of Alabama” immediately and correctly denounced this so-called offer as “nonsense”. Third, while the Syrian move to advance towards Raqqa has clearly run into some major difficulties, there are sign indicating that the city of Aleppo might soon be fully encircled by the government forces. Fifth, Defense Minister Shoigu has announced that he was promoting the current commander of the Russian task force in Syria, Colonel-General Alexander Dvornikov, to the post of the commander of the Southern Military District. Concerning the first point, it is remarkable that while Erdogan is personally extremely disliked in Russia, all the Russian military and foreign policy experts agree that Russia should, and will, resume cooperation with Turkey. There is an acute awareness in Russia that, like it or not, Turkey is a key player in the region and that Russia must therefore engage with any Turkish leader. Furthermore, the Russians feel that they are in a very advantageous position of strength and that now is the time to press Turkey for some real changes. Topping the Russian agenda is the objective to get Turkey to *really* close the Turkish-Syrian border and to stop financing Daesh by shutting down the illegal trade in oil. Second, several Turkey specialists have expressed the opinion that the bombing in Istanbul was really a Daesh warning to Erdogan and that this indicates that Erdogan took a real risk by turning to Russia and that Russia must now give him something tangible to support him in his terrible position. Again, this is not going to be a love-fest between the Kremlin and Ankara, but a case of pure Realpolitikwhere the Russian feel that they must set aside their feeling of distrust, and even disgust, and very carefully play the “Erdogan” card. At the very least, the Russians will demand an end to Turkish support for terrorism in the Caucasus and Central Asia and some tangible signs of real, meaningful Turkish collaboration against Daesh. In exchange, the Russians have indicated that they are willing to resume collaboration with Turkey on energy (gas, oil, nuclear plants) and economic (building, transportation) issues. Russia has no need and no interest in the Incirlik air base. Not only is it basically run by the USA, but Russian aircraft have the reach to bomb anywhere in Syria if needed. What is currently happening in the USA can only be described as utter chaos. When when a large number of diplomats admit that their own craft, diplomacy, is useless and when the only thing they can recommend is the fully illegal and, I would add, irresponsible use of force against a sovereign country (Syria) which is allied with, and hosting the forces of, a nuclear superpower (Russia), you know that you are dealing with a clueless and incompetent gang of amateurs. This also is the sign that the United States have lost the control (or even the illusion of control) and that the inevitable infighting has begun. That is very bad news because it makes the USA even more unpredictable and prone to “quickfix solutions” (which in the case of the USA is always more military violence and escalation). While I agree with Moon of Alabama that the US offer is a no-starter, I also see it as a possible diversionary maneuver of those in the USA who want to prevent the Neocon crazies from triggering a direct confrontation with Russia. If that is the case, some vague promise of collaboration from Russia would be good enough to at least temporarily shut up the crazies and hope that Trump gets elected. During the discussion of the situation in Syria, Vladimir Putin urged Barack Obama to facilitate as quickly as possible the separation of moderate Syrian opposition forces from the terrorist group Jabhat al-Nusra and other extremists that are not covered by the ceasefire regime. Both sides reaffirmed their readiness to step up coordination of American and Russian military actions in Syria, and emphasised the importance of resuming inter-Syrian negotiations under the aegis of the UN to achieve a a political settlement. Whether any real “coordination” ever truly materializes remains to be seen. In the meantime, the Syrians clearly need more help and while they are apparently making progress around Aleppo elsewhere they are running into problems. Rumor has it that Iranian forces have also taken a pounding recently. Some Russian experts are saying that the reason for this is that Hezbollah has made the determination that liberating Aleppo is the single most important goal and that crack Hezbollah fighters have been withdrawn from other sectors and concentrated around Aleppo. Whatever may be the case, in the Raqqa province Daesh still seems to be in control. This might change if the US somehow manages to convince the Kurds to make a push for Raqqa, especially if the Turks cut off the northern supplies routes to Daesh and the Russians help the Syrians. This could happen if only because anything could happen, I suppose, but I will believe it when I see it. It will be awfully hard to get the Kurds, who are basically fighting a civil war in Turkey, to agree to divert resources to the south and east to fight Daesh. The obvious solution is to get US boots on the ground, but that is politically very difficult for Obama who has promised numerous times not to do so. Of course, the *real* solution would be to make a deal with Russia and Assad and then jointly crush Daesh, but that would extremely humiliating for the United States. There are probably constituencies lobbying for all these options right now and I won’t even try to guess who will prevail. 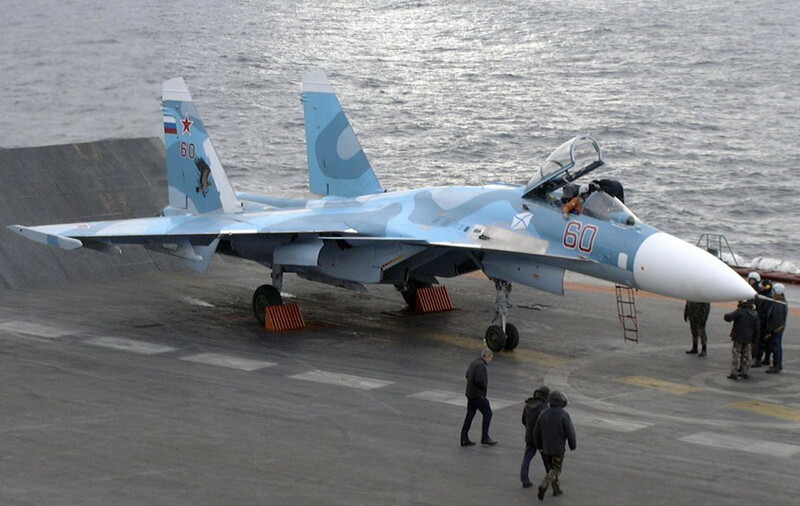 While it is true that the Russian have confirmed that the Admiral Kuznetsov will be sent to the Mediterranean, silly rumors about “countering NATO” are, yet again, being circulated. The truth is that the Kuznetsov, while a formidable ship indeed, is also a Cold War “fossil” which was originally designed to extend the range of Soviet air defenses protecting the submarine bastions of the Soviet Navy. By the way, the correct classification for this kind of ship is not “aircraft carrier” but “heavy aircraft-carryingmissile cruiser” (тяжёлый авианесущий крейсер) which means that unlike, say, USN aircraft carriers, the primary armament of the Kuznetsov are her powerful anti-ship missiles designed to sink US carriers. Here I would tie-in the promotion of Colonel-General Dvornikov, a man who knows the Syrian operational environment extremely well, to the Southern Military District, the district which, should things get ugly in Syria, would be the district supporting all Russian efforts in Syria and upon whom the Russian task force in Syria would be vitally dependent on. What better choice could there be for the Russian task force in Syria than to have its former Commander now in charge of support from the Motherland? I have no way of knowing what the Russians and the Turks or the Russians and the Americans are discussing behind closed doors, so I won’t even pretend. But what I see is Russia, yet again, taking steps which would be expected of her if the Kremlin had come to the conclusion that the situation in Syria is likely to heat up again. Oh sure, it could be that Dvornikov got promoted to a position of responsibility just because a man like him was needed in the very important Southern Military District and that the Kuznetsov is just being sent to the Syrian cost for some, shall we say, “realistic trials”. But I have the feeling that the Russians are maximizing their options while the Americans are clearly struggling to even define what their policy now really is. And just to make things more complicated, there are some semi-official differences between the Russians and the Iranians who wanted a much larger Russian intervention and who don’t believe in the peace process initiated by Putin. Finally, it is not at all clear from the Russian statements so far that they are willing to continue their intervention until the last Daesh fighter is killed, which is the position of Assad. So while Russia, Iran, Hezbollah and the Syrian have found a great deal of common interests, Russia is not in the position to act like a mini-USA and just give orders to everybody else. There are real differences in opinion between these loosely allied forces and each one retains a very large freedom of maneuver. The political logic of a US pre-election period would suggest that US-generated conflicts such as the ones in the Ukraine and the one in Syria should remain limited to minor moves until the new administration gets elected and takes over. This might still happen in Syria, but a lot of signs are beginning to point to a possible acceleration of events on the ground. You guys JUST ran another article saying the Turkish “apology” was essentially meaningless. Once Trump becomes president hopefully the US will stop funding ISIS and work with Russia to rid the world of ISIS quickly. Trump said the same thing. We wants to partner with Russia and Putin, and work together. And actually stop the bad guys for a change, instead of funding them. That is one of the reasons Trump says the administrations are so crooked, lie, and that they are so stupid. if killary gets to the elections trump will lose. They’ll rig the elections in every possible way to get clankers in the white house. I hope americans will be vigilant about this, as this is probably one of the most important presidential race ever – but remembering what happened in 2000, with gore having won but bush being elected thanks to broils in florida – i’m pessimistic. The battle for Aleppo will decide the outcome of the war. Stopping the globalist is taking smart and talented people such as Putin. Putin is a very respectable and respecting leader. Only the controlled press tries to paint him in a different light. Unfortunately as the U.S. is uncompromising in its regime change objective, the U.S., NATO, Saudi Arabia, Qatar, Israel, Jordan, Turkey, etc. are intensifying proxy warfare operations, Israel is expanding strikes against Syrian/Iranian/Hezbollah forces and command posts (often coordinated to assist militant/terrorist group operations), the current conflict is likely a relative calm preceding a more profound stage of conflict. Major developments may not be restricted to Syria. – Intelligence assessments of preparations for large scale offensive operations by the coup installed Ukrainian regime (operations that are supported by the U.S./NATO/allied bloc). – Western supported Taiwan armament/partition operations (with similar partition operations being employed in Hong Kong through the application of colour revolution technology) that the PRC has stated would result in war. 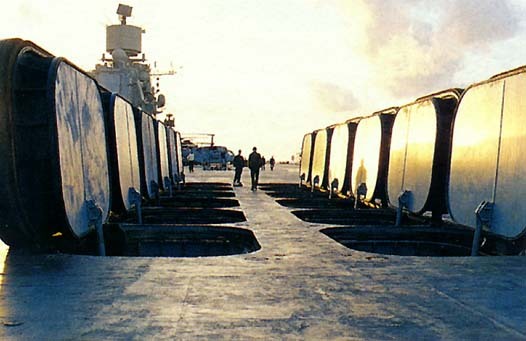 Military exercises, procurements, deployments/mobilisation of forces and policy papers clearly indicate preparations for an escalation of such conflicts.